Willard Gibbs was a mathematical physicist who made enormous contributions to science: he founded modern statistical mechanics, he founded chemical thermodynamics, and he invented vector analysis. Josiah Willard Gibbs was born on February 11, 1839 in New Haven, Connecticut, USA, the hometown of Yale University. Willard Gibbs’ family was prosperous and intellectual. His mother’s name was Mary Anna Van Cleve. She came from an eminent family and was an amateur ornithologist. 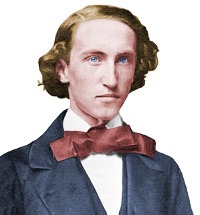 His father’s name was also Josiah Willard Gibbs. To avoid confusion, Gibbs Jr. was always known as Willard. His father, an expert on languages and linguistics, was Professor of Sacred Literature at Yale University’s School of Divinity. Willard Gibbs was privately educated at Hopkins Grammar School and at age 15 enrolled at Yale University. He was awarded his degree four years later, in 1858, with university prizes in Mathematics and Latin. Willard Gibbs, a student at Yale University. He immediately began working for an Engineering Ph.D. at Yale, which he was awarded in 1863, at age 24. This was the first ever award of an Engineering Ph.D. to any student at an American university. Socially, Gibbs was quiet and bookish, a somewhat reserved student. Academically, he was brilliant. In 1855, his mother died. In 1861, his father died, leaving Gibbs and his two sisters a substantial inheritance, making them financially independent. From 1861–65 the American Civil War raged. Gibbs was not conscripted: his health was fragile, and he suffered from respiratory problems. Also, his eyesight for reading was blurred, caused by astigmatism. He eventually had to grind lenses himself to solve this problem. Yale University appointed Gibbs as a tutor in 1863. Tutors were expected to make themselves available to teach any of Yale’s courses. Gibbs taught Latin for two years, followed by a year teaching Physics. Meanwhile, he continued to widen and sharpen his knowledge of engineering and the physical sciences. During this time he patented an improved railway car brake. In 1866, Gibbs and his sisters Anna and Julia set off on a three-year trip to Europe. Willard Gibbs attended lectures in Heidelberg given by Robert Bunsen, the great chemist. He also attended lectures given by the great physicists Gustav Kirchhoff, and Hermann von Helmholtz. Gibbs spent an academic year at each of the Sorbonne in Paris and the Universities of Berlin and Heidelberg. His single-minded purpose was to continue expanding and refining his scientific knowledge. Like his father, he seems to have had a considerable gift for languages, so working in French and German caused him no problems. France, Germany, and the United Kingdom lay at the heart of the scientific world. Gibbs took a unique approach by spending three years studying in the non-English speaking countries, which gave him a distinctive scientific viewpoint compared with other American scientists of the time. In Europe, Gibbs’ health was a concern – tuberculosis was suspected – and he and his sisters moved to the French Riviera, hoping the warm, dry Mediterranean climate would help him. Thankfully, after a few months on the Riviera, he was pronounced free of tuberculosis. On his return to New Haven, Gibbs taught French for a time at Yale, and worked privately on some of his engineering ideas. In 1871, he was appointed Yale’s first professor of Mathematical Physics. The role was unpaid. Gibbs was happy with this situation – he was a man of modest needs and his inheritance provided him with more than enough money. Furthermore, he was happy that the role required little teaching work, allowing him more thinking and research time. As his scientific reputation grew, other universities head-hunted him. Gibbs chose to stay at Yale, because he was happy in the familiar surroundings of his hometown. Moreover, Yale’s other scientists told him how much they valued his presence at the university. He stayed at Yale for the whole of his career and the University started paying him a salary to counterbalance offers he received from other institutions. It was left to others to explain and spread Newton’s complex ideas and mathematics. Similarly, when Gibbs published his research, it was often little understood. One of the few people who did understand and appreciate its significance was James Clerk Maxwell. Thermodynamics explores the relationship between temperature, entropy, and energy. Its laws underpin the physical characteristics of everything in the universe, including life. Its ideas are rather complex. Easier aspects of thermodynamics are not usually introduced until university level in chemistry and physics or perhaps the end of high school chemistry. In two groundbreaking papers he showed how expressing thermodynamic quantities on graphs he had constructed led to entirely new conclusions about the behavior of matter. These graphs were in three dimensions, with x, y, and z axes. Gibbs sent copies of his work to 75 notable scientists in Europe. One of these was James Clerk Maxwell at the University of Cambridge. Maxwell, one of the world’s foremost authorities on thermodynamics, devoured Gibbs work, realizing that it solved a conceptual problem he had been wrestling with in vain for over two years. 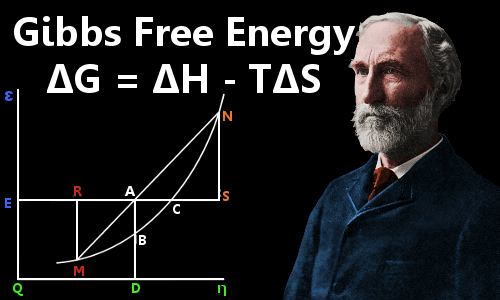 Furthermore, Gibbs’ new interpretation of thermodynamics improved Maxwell’s personal understanding of the field. A copy of the plaster model sent by Maxwell to Gibbs, held by Yale’s Peabody Museum of Natural History. The model represents the behavior of a water-like substance plotted on axes of volume (x-axis), entropy (y-axis) and energy (z-axis). The dark lines on the model are lines of equal pressure and equal temperature. Maxwell shared Gibbs’ work enthusiastically with other British scientists. He made three 3-dimensional plaster models of a surface in one of Gibbs’ graphs and sent one to Gibbs as a token of his appreciation and respect. Maxwell and Gibbs were on the same mental wavelength – they understood each other’s work, which few other people did at the time. 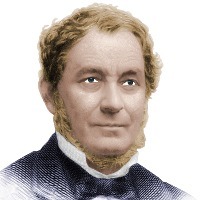 Unfortunately, Maxwell’s untimely death in 1879 deprived the scientific world of what could have become a very fruitful, if long-distance, partnership between two great intellects. In 1878, Gibbs published a third thermodynamics paper, the most revolutionary of them all: On the Equilibrium of Heterogeneous Substances Part II. In this paper Gibbs founded the science of chemical thermodynamics, entirely shaping our modern understanding of the field. This work lies at the heart of physical chemistry, telling us which chemical reactions are feasible. Unfortunately, Gibbs’ work was so highly mathematical that it took many years before its message was fully understood. If Gibbs had a fault, it was that he used mathematics to do nearly all of his talking for him. He felt little need to relate his mathematics and ideas to real-world examples and he was not concerned if people said his work was too hard to understand. With this rule, which is a general, fundamental rule of thermodynamics, phase diagrams become an indispensable part of the toolkit of physical chemistry. 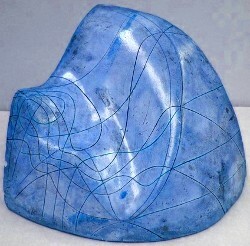 In 2005, a U.S. stamp commemorated Gibbs’ graphical thermodynamics methods bearing an image of Gibbs and a two-dimensional contour map of one of his thermodynamic surfaces. James Clerk Maxwell used a form of mathematics called quaternion calculus in his electromagnetic theory of light. Gibbs took up Maxwell’s new theory enthusiastically, but he thought the quaternion calculus Maxwell used seemed rather inconvenient. It had a vector part and a scalar part. In Gibbs’ opinion this was geometrically unsatisfying. In order to teach Maxwell’s theory to his own students, Gibbs developed a new branch of mathematics called vector analysis/calculus. He did this in 1881 – 1884, producing lecture notes for his new mathematical methods. British physicist Oliver Heaviside independently invented vector calculus between 1880 and 1887. Neither man was aware of the other’s work. The vector calculus invented by Gibbs and Heaviside is now used extensively in both physics and mathematics. The notation used today for the scalar and vector products was also devised by Gibbs. Statistical mechanics allows physical phenomena to be explained and calculated by averaging the individual behaviors of huge numbers of atoms/molecules. In 1902, Gibbs published a new scientific masterpiece – Elementary Principles in Statistical Mechanics. He had worked day and night on the book in late 1900 and early 1901. What we now know as statistical mechanics had been invented and developed by Daniel Bernoulli, James Clerk Maxwell, and Ludwig Boltzmann. Gibbs’ book came like a bolt from the blue. It needed to refer only a little to what had gone before; and then revealed an entirely new formulation of the science. Gibbs devised a new mathematical framework for statistical mechanics which bridged the gap between classical and (as yet undiscovered) quantum physics, paving the way for the quantum world that unfolded in the following years. Like his earlier works, most scientists found Gibbs’ statistical mechanics book difficult to understand. However, perseverance eventually bore fruit and it is Gibbs’ formulation of statistical mechanics that is still used today – he even coined the term statistical mechanics. In 1880, Gibbs won the Rumford Prize of the American Academy of Arts and Sciences. Except for three years in Europe, Gibbs lived all his life in the large family home his father built in New Haven, Connecticut. This steady life suited him, because he was a man who enjoyed regularity and order. There is an irony in this, given that Gibbs significantly advanced our understanding of entropy – which is often characterized as disorder. He attended church regularly and left New Haven only during his summer vacations, which he liked to spend in the mountains. Gibbs was perceived by people who knew him as kind, sympathetic, and happy. He never married. He shared the family home with his sisters: Anna, who remained unmarried; and Julia, her husband and children. 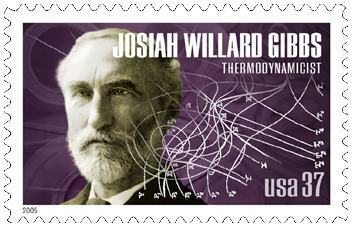 Josiah Willard Gibbs died at age 64 on April 28, 1903, just a year after he published his seminal work on statistical thermodynamics. His death was caused by an intestinal obstruction. He was buried in the Grove Street Cemetery, New Haven. "J. Willard Gibbs." Famous Scientists. famousscientists.org. 20 Jun. 2015. Web. American Journal of Science, September 1903. American Mathematical Soc., Science, 7 Nov, 1990. Reprinted by the Ox Bow Press, Woodbridge CT, 1942. Bulletin of the American Mathematical Society, Vol 37, No. 6 (June 1931) p401 – 416.